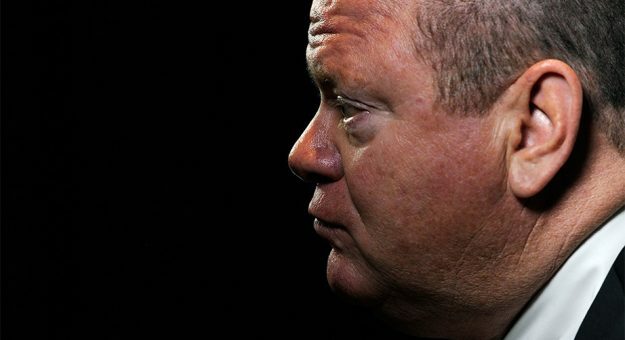 DAYTONA BEACH, Fla. — Standing in the rear of the media center at Daytona International Speedway on Friday afternoon, watching his sports car drivers informally take questions from a crowd of racing reporters, Chip Ganassi smiled and acknowledged people with a friendly nods and waves. Should one of his Chip Ganassi Racing Ford GTs win the GTLM class in this weekend’s Rolex 24 At Daytona, it would be Ganassi’s 200th win as an owner in major league auto racing spanning sports car, IndyCar and NASCAR competition. His cars are starting third (No. 67) and fourth (No. 66) in class for the IMSA WeatherTech SportsCar Championship season-opener. And while Ganassi looked every bit his typical “calm, cool and collected” self about the historical opportunity, he quietly conceded that scoring such a victory would be impactful to him and to his team. The six multi-national, multi-talented drivers prepared to race for Ganassi this weekend are more candid about their desire to deliver the big win, in this big race for their boss. And that may be an understatement for the organization, whose six-driver lineup for the twice-around-the-clock race represents six different countries. Bourdais, of France, will share the No. 66 Ford with Ganassi’s full-time IMSA drivers Joey Hand (USA) and Dirk Mueller (Germany). Ryan Briscoe (Australia) and Richard Westbrook (England) are the full-time drivers of the No. 67 Ford, teaming in the endurance race with four-time IndyCar champion Scott Dixon (New Zealand). Ganassi’s teams have won the Rolex 24 a record six times overall and last year Hand Muller, and Bourdais captured the GTLM class victory in the Ford GT. Hand was very aware of the team’s opportunity to score a historical win this weekend and certainly appeared confident about the team acquiring a new victor’s Rolex. “What makes me feel good about this is coming here calm, having that confidence,’’ Hand said. “I don’t feel a lot of pressure here. A lot of that comes from the team, the way Chip runs the team you don’t feel a lot. You just do your job, but the expectation is high. Especially coming back as the defending champion of the race.